How has everyone's week been? I got selected for Jury Duty so it's been crazy here. I'm downtown all day but I'm still trying to stay on top of work, so I don't get too far behind. It's definitely exhausting, but I'll manage. Thankfully, we don't have to report on Friday, so I'll have a day to get caught up. It's that time of the month again. The first #TheLacquerRing prompt is here, color! Our color prompt was Holographic Blue. I went with Cupcake Polish Et Tu, Brute?, be aware this one is a specialty box color so unless you get lucky and find it in a destash, it'll be hard to come across. Are we noticing a theme on the blog this week. It was unintentional, but I'm ok with it. Et Tu, Brute? is a royal blue holographic. I used two thin coats for full opacity here. The formula on this one was perfect. Since I can't leave things alone of course I had to get out another blue holographic polish for some extra fun. 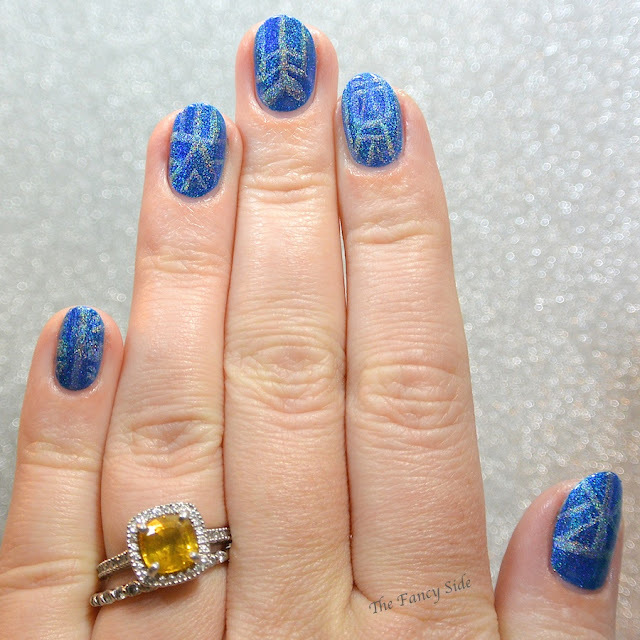 I chose Color Club Over the Moon for some fun striped tribal type mani. You can't see it very well because of holo on holo, but I'm ok with that. 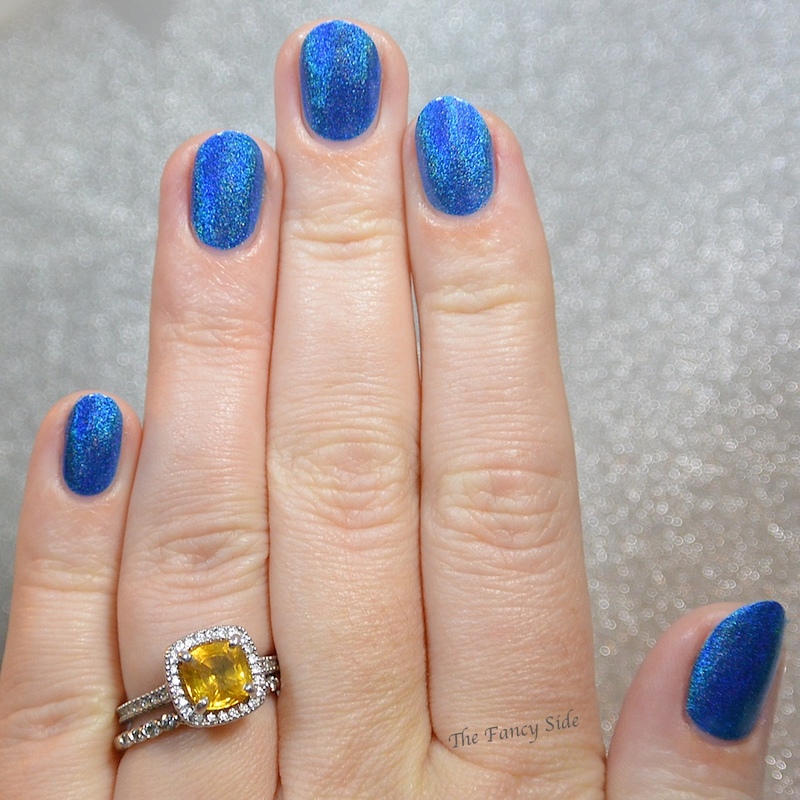 Be sure to check out all the other Blue Holographic manis from the other ladies below! Pretty! 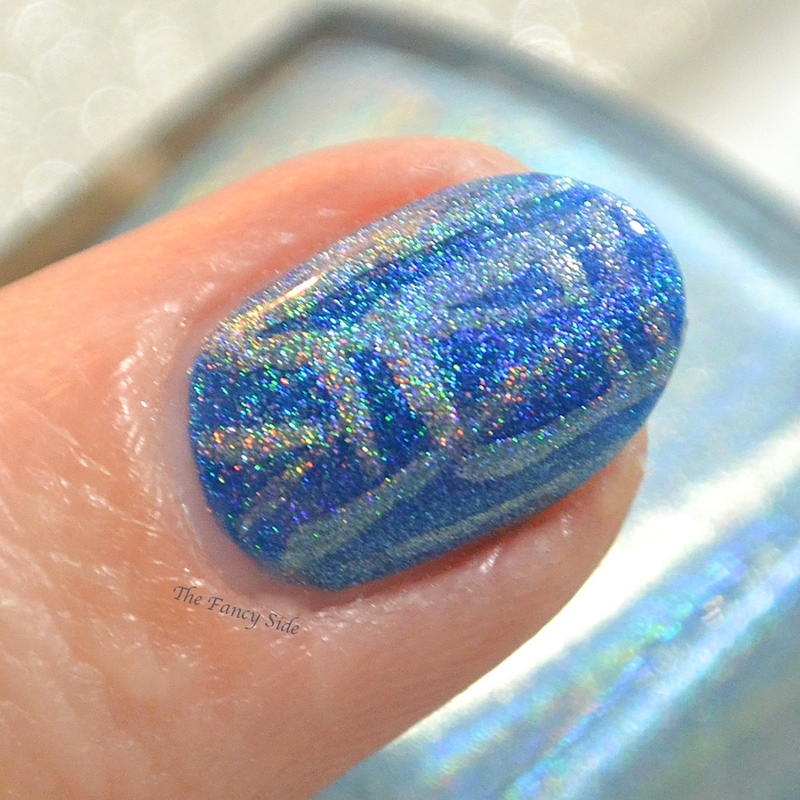 That blue holo is amazing! Ooohhh, man...that Cupcake. *drools* It's OK, Lesley...your berry one is coming in the mail today, lol. The Berry Cupcake...amazeballs! You'll love it! 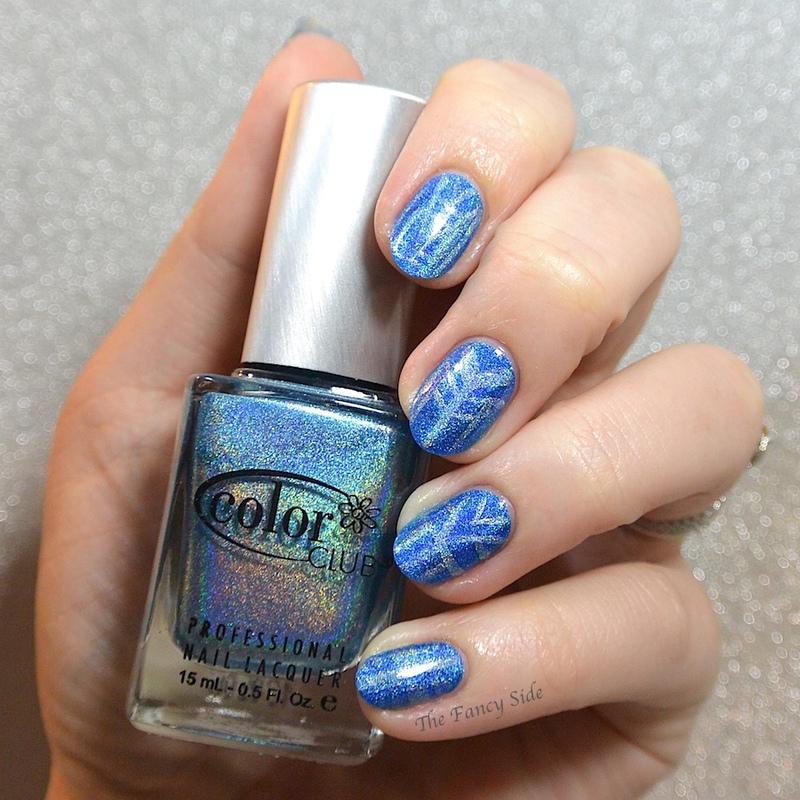 Amazing , blue and holo my fav combo ! I totally agree. You can't go wrong with those two! Stahp, I can't even with this mani. Holo blue on holo blue--genius! Blue + holo is the best combo! I love your mani! This is so pretty on its own and with the Color Club. It's another polish that goes beautifully with your ring! I've loved them for a while, but they knocked it out of the bark with that polish! Such a beautiful blue polish! I really need to get some Cupcake Polishes in my life! They are a new love, but I can't get enough lately. You captured the holo beautifully! Such a beautiful blue. omg ! That blue is amazing ! Wow, just wow!!!!! I love Cupcake Polish and this one is such a beauty. You did a great job capturing its glory! That polish just pops, great color on you as well! 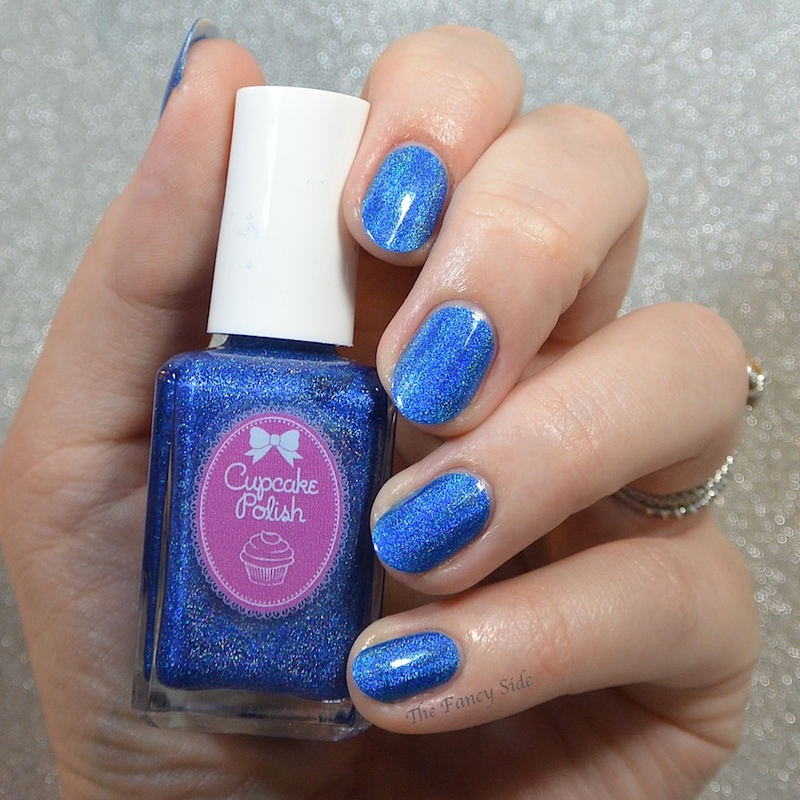 WOW Cupcake Polish really has such amazing holos! Amanda, yes they do! They've been nothing but awesome since they started.